Deputy Prime Minister Trinh Dinh Dung has assigned the Ministry of Transport to improve two projects of building North-South Expressway, report them to the Prime Minister and the Government to decide before submitting to the National Assembly for approval. According to an announcement from the Government Office conveying conclusions by the deputy PM about preparation works for investment of the expressway, there are two projects to build the expressway. 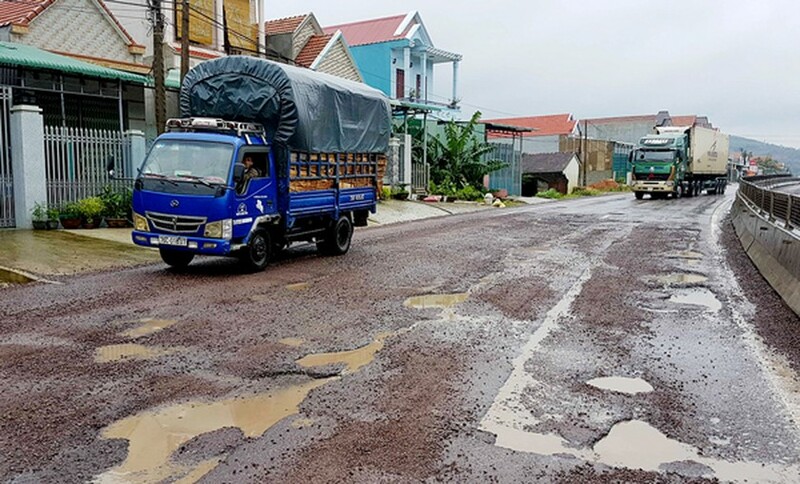 The first project is proposed to receive VND63 trillion (US$2.77 billion) while the second project will receive VND70 trillion ($3.07 billion) from the state budget The funds will mainly be spent on site clearance. The remaining amount accounting for 70 percent of total investment capital will be mobilized from social resources. The deputy Prime Minister asked also the Ministry of Planning and Investment to urgently propose the Prime Minister to establish a state assessment council to ensure the project’s progress. North-South Expressway is a national important project so implementation process must be tight and abide by regulations. The project should be soon submitted to the Government, the National Assembly to approve investment policy. The project’s target is to form a high speed route from north to south with huge transport ability, connecting economic hubs from Hanoi to HCMC through 20 provinces and cities, linking up to industrial parks and seaports for socioeconomic development nationwide. Once being built, the expressway will reduce pressure for National Highway 1A, suiting the country’s resources and infrastructure development plan comprising traffic system.